On the right-hand side select 'add faq'. 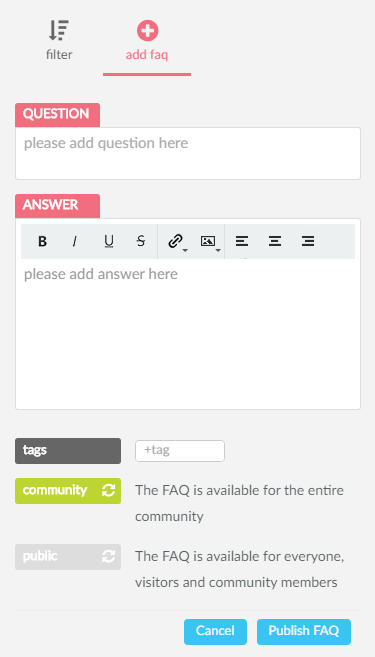 Question / Answer - Input the text for the question and answer fields. We suggest that you keep the answer short and to the point as it will have to display on small mobile screens. 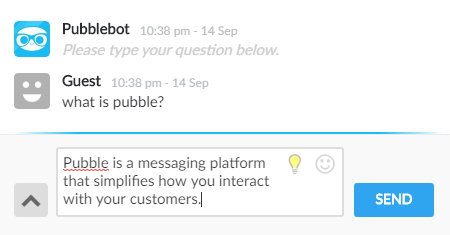 Public/Private - If you define an FAQ as public, it will be searchable and prompted on the Live Chat widget. If it is private, only team members will be able to see the FAQ and it will never be prompted on the widget. Each FAQ has a unique number making it easy to reference. What if a user asks a question half way through an ongoing conversation and you already have the answer detailed in an FAQ? 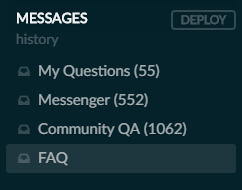 Just type 'FAQ' followed by the FAQ number, for example "FAQ12" and that FAQ will be added to the chat for the user to see. 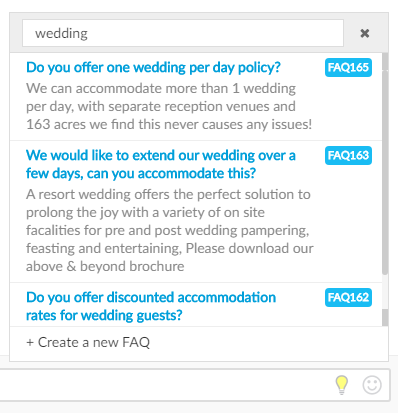 Example of "FAQ11" being referenced and embedded in chat. An FAQ can belong to the community or to specific webpages. FAQs that belong to the community are general FAQs, that are useful for all the sections of your website where the widget is deployed. Page level FAQs are records that target specific page(s) and will have priority on prompting for that specific page. An FAQ can be a public or private. Public FAQs are available for your visitor on prompt. 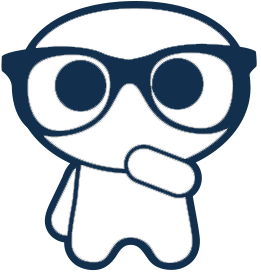 Private ones can are only searchable from within Pubble app. So, maybe you would like to build an FAQ about how to deal with the customers. Just for the people inside your community. This will allow you to handle common visitor queries more efficiently by not having to type out the same answers again and again. What's more, you can alter the FAQ content before posting it to the visitor should the text need to be modified in that particular case. 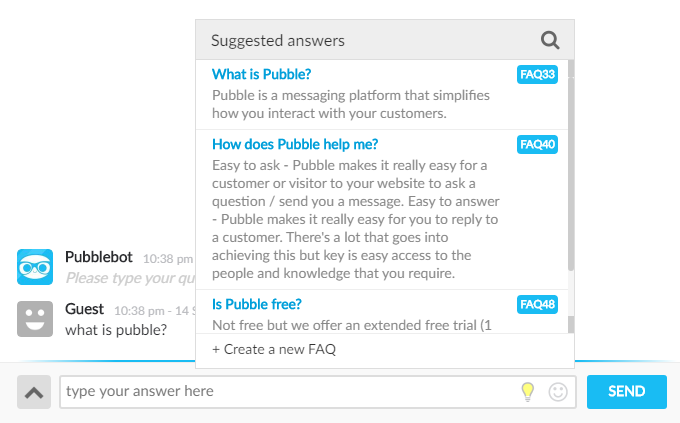 To enable this feature all you have to do is add FAQs to your Pubble community, as detailed above. By clicking on one of the results, the chat input box will be populated with that text. Here you have the opportunity to edit the text before sending it, or you can send it directly.